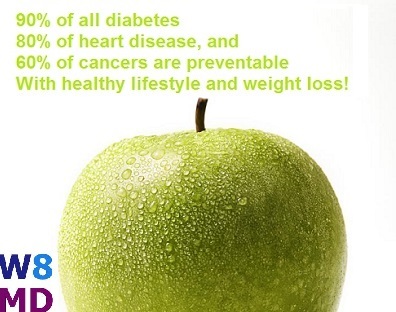 Obesity or overweight is a contributor to over 50 medical conditions! Obesity related health care costs are estimated to be over 150 billion dollars in the United States. 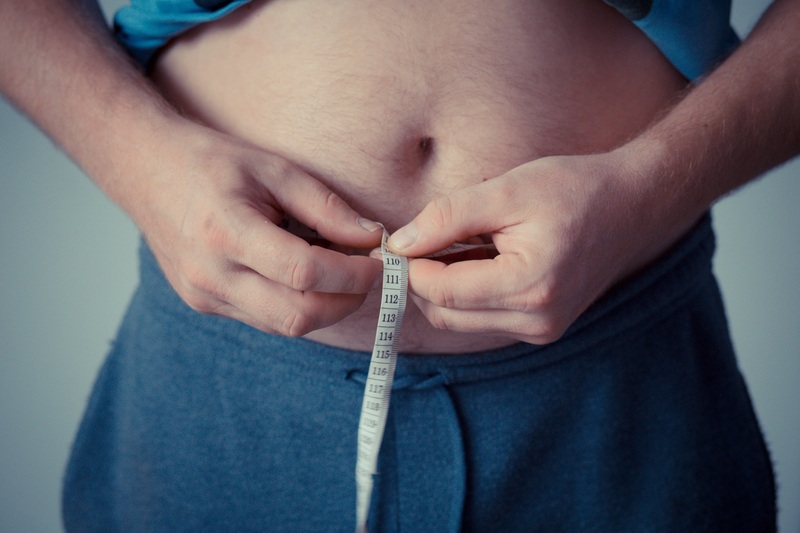 Here is a list of medical conditions that are directly related to obesity. Here is W8MD’s list 8 weight related medical conditions the risk of which can be reversed or reduced with *weight loss and lifestyle intervention under the careful supervision of an obesity medicine physician. 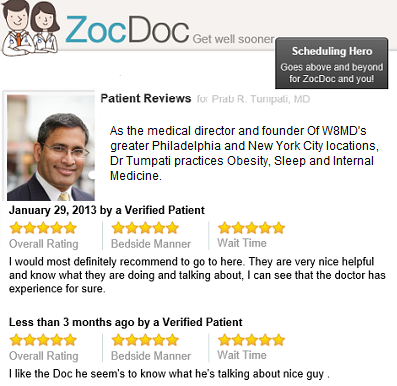 How can W8MD Medical Weight Loss Center’s Program Help? Under the direction of Dr. Prab Tumpati, W8MD Weight Loss Centers was founded a year ago because of his passion to overcome obesity and to make a difference. Dr. Tumpati has passed a written board examination in the field of Bariatric Medicine and is also Board Certified in Sleep Medicine and Internal Medicine. The doctor’s of W8MD partner with each patient to develop a custom weight management program to best meet their individual needs taking into account their medical history, lifestyle and goals! Accept most insurances for weight loss! And the best part of the program is that most insurance’s cover the doctor visits. 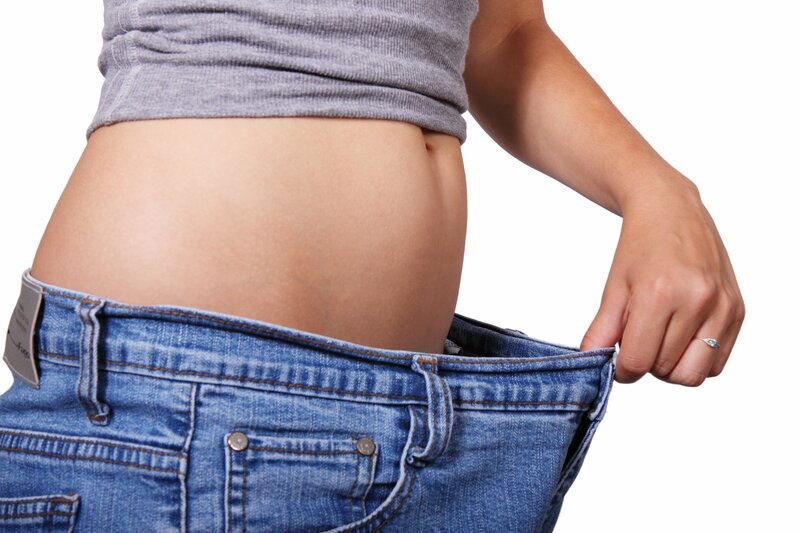 If you have a little or a lot of weight to lose and want to do it without surgery, set up fees and mandatory meal replacements or appetite suppressants, think W8MD for weight loss. Call 718-946-5500 for more information. Limited acceptance in the insurance physician weight loss program at this time in our New York City or King Of Prussia, PA locations.